Washington, D.C. — The executive director of Barack Obama’s Office of Faith-Based and Neighborhood Partnerships has decided to step down. 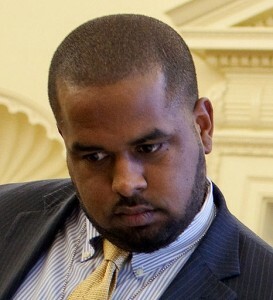 Joshua DuBois, 30, had joined the office in February 2009 by the choosing of the president. He had previously served as Obama’s religious affairs director during his 2008 presidential campaign. DuBois is also a licensed Pentecostal minister, and served as an associate pastor at a small church in Massachusetts at one time. Obama announced his departure during the National Prayer Breakfast last week. Obama also noted that one of the new journeys for DuBois will be married life. “This morning I want to publicly thank Joshua for all that he’s done, and I know that everybody joins me in wishing him all the best in his future endeavors — including getting married,” he said. DuBois says that he plans to utilize the devotionals he sent to Obama each morning by compiling them into a book, which is stated to be geared toward leaders. DuBois will also take on a teaching job at New York University. Michael Wear, 24, who had served as Obama’s faith-based liaison for the 2012 presidential election, will also be leaving the office. As previously reported, in 2008, Wear helped to arrange the presidential debate at Rick Warren’s Saddleback Church. He also set up a meeting with Christian leaders in Chicago in order to garner support for Obama, and organized the 2009 prayer service at Washington National Cathedral for his first inauguration. Wear has been working for Obama for the past four years in DuBois’ Office of Faith-Based and Neighborhood Partnerships. While his focus has been on social programs, such as promoting adoption and foster care, he has also been engaged in efforts to build bridges between Obama and the evangelical community. However, many evangelicals strongly oppose the president, noting that many of his positions on moral subjects, such as homosexuality and abortion, are directly antithetical to Scripture.